So this was a really quick trip. Yesterday we had an hour and a half to have another look at some of the amazing quilts, make any last minute purchases and then race to the airport. I will share my thoughts on the shopping tomorrow, but first, some additional quilts that I loved. 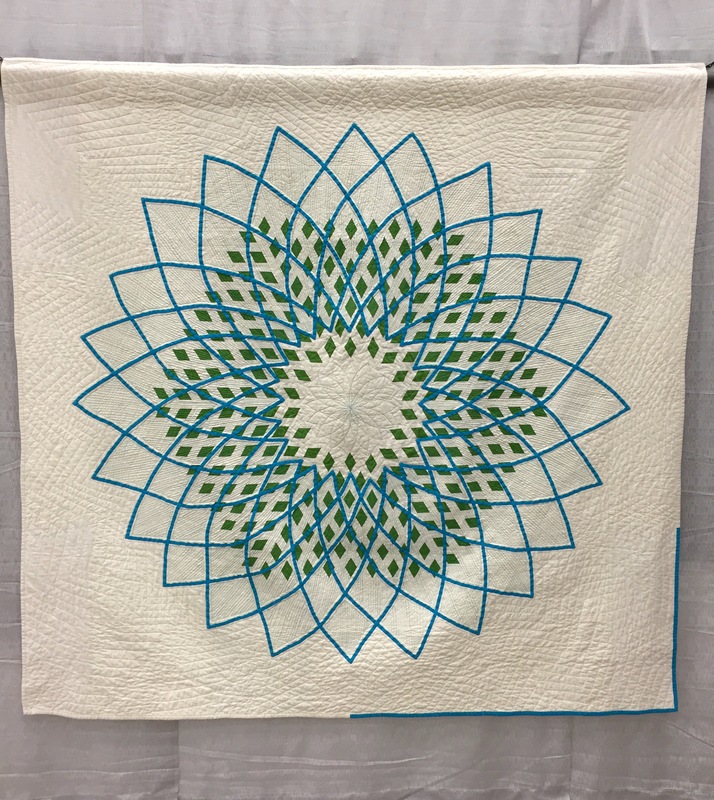 This quilt titled “Spirograph” was part of the bias tape challenge and was made by Matt Macomer of Seattle, Washington. I love the order and symmetry of it, but the palette, white space and use of solids make it modern. As soon as I saw it, I was taken back to childhood fun with a Spirograph toy. Well done. 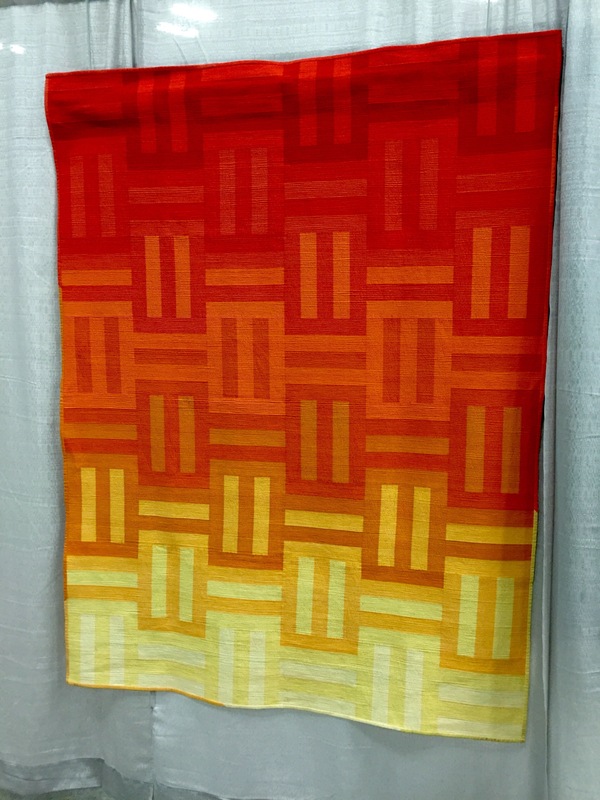 “Somewhat Herringbone” by Doris Schwartz of Mason, Michigan really caught my eye. I love the subtle palette and the seemingly random placement of the herring ones that couldn’t be more intentional. The quilting was meticulous and yet another reminder that I need to get better at the quilting process this year. 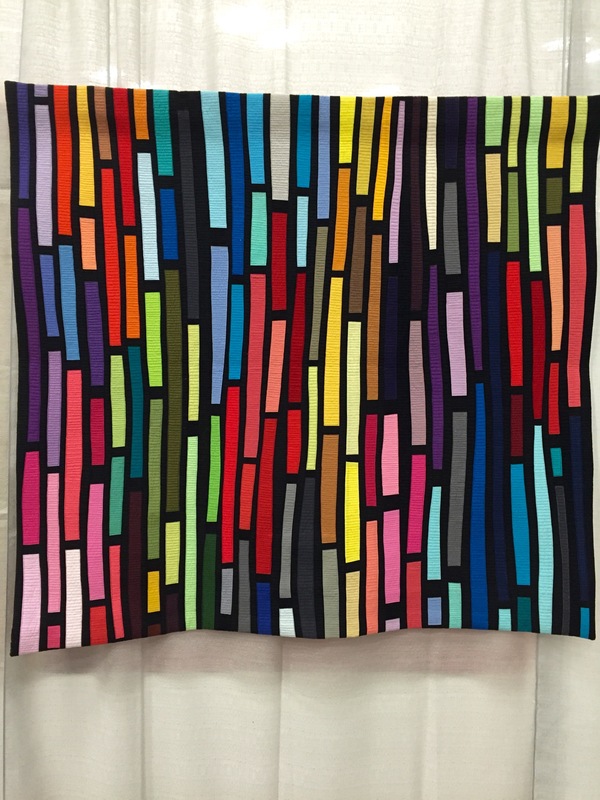 This quilt is called “Light Brite” and was made by Maria Shell of Anchorage, Alaska and was entered in the improv category. It is very graphic and visually interesting but didn’t read as lite bright to me. I actually have an idea for a lite bright inspired quilt but mine may be too literal. This quilt is called “Tune in Next Week” and was made by Chawne Kimber of Easton, Pa. Every time I saw this quilt, I saw something different. It is so captivating and really pulls you into the quilt. In the description of the quilt on the placard, the quilt maker wrote about playful deconstruction and irregular shapes. It is stunning. 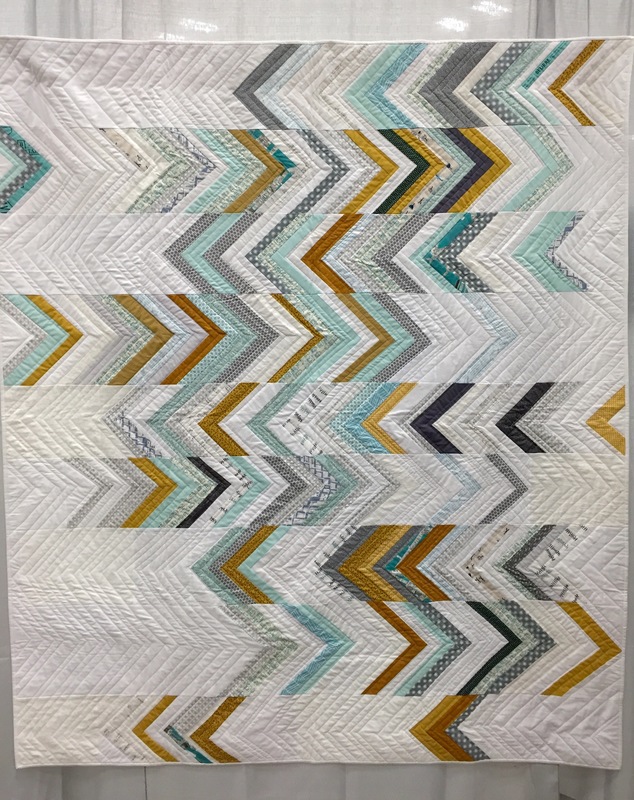 I didn’t get detail about the quilter, but this stunning example of color blocking caught my eye early on. I really found it to be beautiful in its simplicity. The show was amazing and I am committed to entering next year. But in the meantime, I will live vicariously through these quilts! 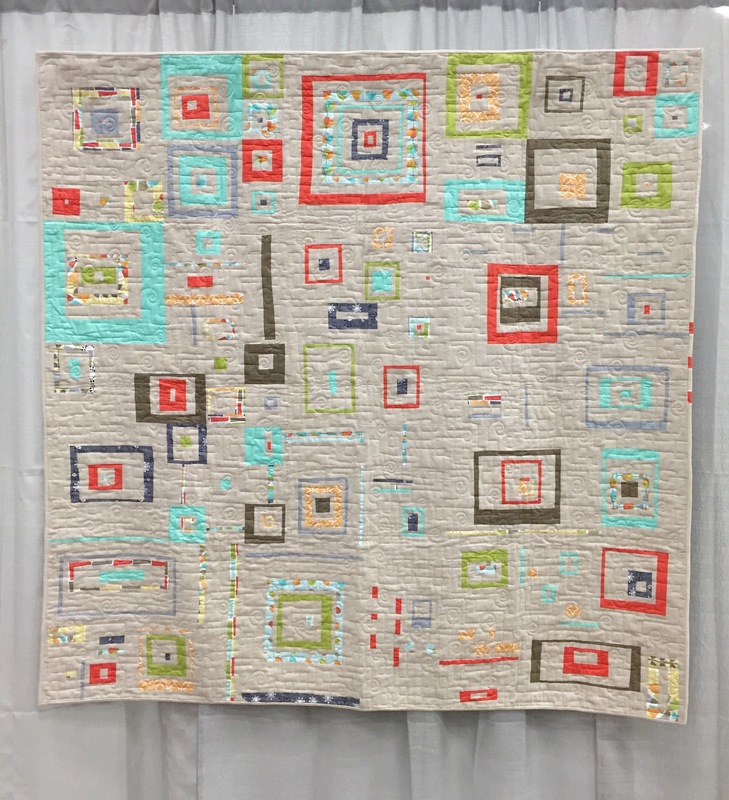 You saw way more quilts than me – it’s almost like I didn’t go to the show!! !